Theresa May has said progress has been made in talks about changes to the Brexit deal that could win MPs' backing but admitted "time is of the essence". The PM met the EU's Jean-Claude Juncker in Brussels to discuss legally-binding guarantees over the Irish border. Earlier, Foreign Secretary Jeremy Hunt said "small but important" changes to the backstop would allay MPs' concerns it could be trapped in a customs union. But Home Secretary Sajid Javid said the chances of a no-deal exit had risen. Speaking on ITV's Peston show, Mr Javid said it was "fair to say that in the past few weeks the probability of a no-deal Brexit has gone up". The prime minister is trying to renegotiate the backstop - the insurance policy to prevent the return of physical checks on the border between Northern Ireland and the Republic of Ireland. It is the most contentious part of the withdrawal agreement Mrs May agreed with the EU in November, which was rejected by Parliament by a large margin last month. Critics fear the backstop - which could be activated if the two sides do not settle their future partnership by the end of 2020 and choose not to extend the transition period - would leave the UK tied to a customs union indefinitely and see Northern Ireland treated differently. The EU has consistently said it will not reopen discussions over the withdrawal agreement agreed in November. 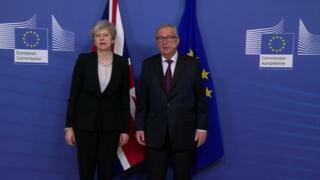 Mrs May said the two sides had made progress and that she had made it clear MPs would only accept guarantees that had similar legal force to the agreement. "We have agreed that work to find a solution will continue at pace, time is of the essence and it is in both our interests that when the UK leaves the EU it does so in an orderly way," she said. The EU said the discussions, which are also focusing on the use of technology, were constructive but the timing was "tight". On a visit to Germany earlier, Mr Hunt warned the greatest threat to Brexit was "defeatism" over getting a deal through Parliament. Speaking after talks with his German counterpart in Berlin, Mr Hunt said it would be a "disaster" for both sides if the UK left the EU without a negotiated agreement on 29 March. But he said the risk of "paralysis" in the process was equally damaging to business. Amid speculation that Mrs May could put the deal to Parliament again as soon as next week, Mr Hunt said the role of Attorney General Geoffrey Cox would be vital in the unfolding process. Mr Cox, who will also be in Brussels for talks later this week, told MPs in December that although the agreement stipulated the backstop would be temporary and only apply until the two sides settled their future relationship, there was no way for the UK to leave it without the approval of EU member states. MPs gave their backing for Mrs May to renegotiate the policy in a vote earlier this month although many remain unconvinced that the EU can be forced to change its position. But Mr Hunt said the government was confident, on the basis of discussions with Conservatives and some Labour MPs, that if the issue was resolved then the deal would pass. "The critical thing is that Geoffrey Cox needs to be able to change his advice to Parliament," he said. 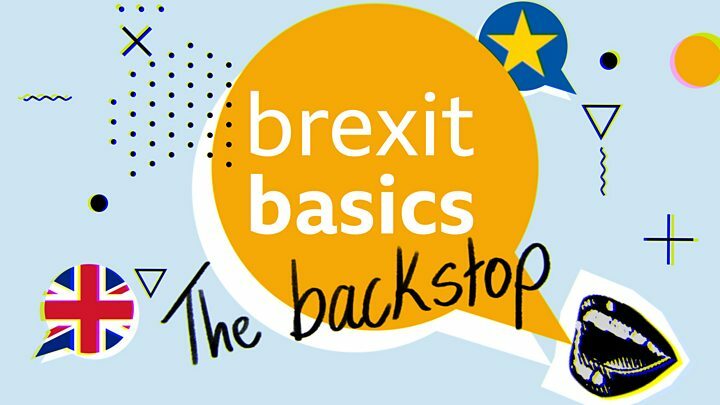 "The current text uses the word temporary to describe the backstop, so what we need to do is put some flesh on the bone of what temporary actually means," he said. "I think... with political will and conviction we can find a way to solve that problem."